I made this acoustic guitar cake for my son law. 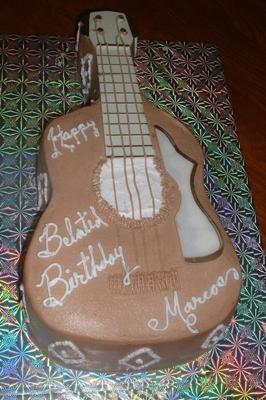 I used the guitar cake mold. It's an almond cake with almond mousse filling. I tried to draw the guitar details by piping them with light consistency buttercream.